​DECEMBER- NO MEETING- MERRY CHRISTMAS! Dan is an entertaining yet informative speaker. One you sure won't want to miss! So you just got your DNA test results back. Now what? Maybe you're not as Irish as you thought, and where is that Native American DNA you grandma always talked about? This lecture will discuss what to do now that you have your results such as how to interpret ethnicity estimates, how to look at cousin matching, and DNA circles, as well as how to use a chromosome browser. Downloading and upload raw DNA data is also discussed. If you have your results and are wondering what to do next, this is the class for you! Bring a friend, bring two! Light refreshments follow. How to find a relative through DNA or GENETIC triangulation ...that is, finding two other people who fit into your DNA matches. Triangulation is a term derived from surveying to describe a method of determining the Y-STR (male line) or mitochondrial (female line) DNA ancestral haplotype using two or more known data points. A little like Facebook, Famicity, offers an easy-to-use social sharing platform—but in a more personal and secure way. When one family member opens a free account on Famicity and invites other family members to join, you create a private family network where you all can have fun sharing pictures and stories. ​One unique feature of Famicity is that, once you sign up for the free service, you can download your family tree, photos, and memories from FamilySearch.org and then lock them down on Famicity for “by invitation only” access. Because Famicity is free of unwanted ads and posts, you can also feel safe allowing your whole family to participate, including the younger children. Many people use the FamilySearch Memories app to preserve family photos and share photos of their deceased ancestors. Once you connect a photo to a deceased ancestor on the FamilySearch Family Tree, the photo can be seen by other FamilySearch users. Famicity allows you to upload and share family photos in a private, secure network. Visit Famicity, and click Register in the top right corner. You can sign up using your FamilySearch account, an email and password, or a Facebook account. Remember, if you want to be able to import your family tree and photos from FamilySearch.org, you need to register for Famicity using your FamilySearch account information. Did you know that if you are having a hard time finding an answer to a genealogical question that there is help? The combined efforts of our members may be able to find you an answer! Go to the ASK MISS BETTY page and post your question and see if we can help. WHERE ARE THE 'ASK MISS BETTY' ANSWERS? ​On Saturday, March 16, 2019 Jim tiptoed out of the room and went to be with his family in heaven. He will be missed by his loving wife and partner, Anna Mae. James was born to parents Louis P. and Sophie (Jamrog) Maday on January 14, 1940 in Saginaw, Michigan. Jim worked as a bricklayer and mason, bartender and househusband. He graduated from Holy Rosary High School in 1958. In the 1960’s, Jim served in the United States Army and was stationed in Germany. After his military duty, he went to Saginaw Valley College. He married Anna Mae Thompson on August 21, 1982 at Holy Rosary Catholic Church. ​Jim was interested in WWII history, Saginaw and family history and took pride that he still resided in the homestead built by his great-grandfather around 1890. 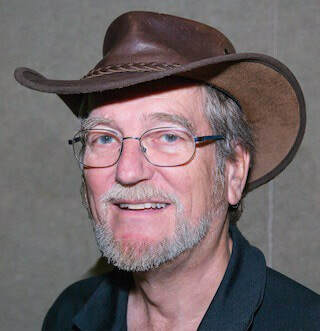 Over the years he was a member of the Saginaw Genealogical Society, Saginaw Valley Chapter of the Michigan Archaeological Society, Saginaw Valley Historic Preservation Society and was currently on the Saginaw Valley Humanities Lecture Committee. foot of the bed during Jim’s last days. Surviving are Jim’s wife, Anna Mae; several beloved cousins and friends. Jim was preceded in death by his parents and by his sister, Geraldine. 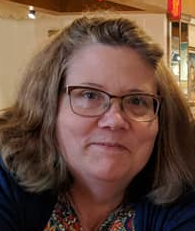 Funeral Service will take place at 6:00 p.m. on Wednesday, March 20, 2019 at The Snow Funeral Home, 3775 N. Center Rd., (between Shattuck and McCarty). Rev. Fr. John Sarge will officiate. Private Interment with Military Honors will take place in St. Andrew Cemetery. Friends may visit at the funeral home where the family will be present on Wednesday from 1:00 p.m. until the time of service. In lieu of flowers, those planning an expression of sympathy may wish to consider memorials to Saginaw City Rescue Mission, American Cancer Society or ​a charity of your choice. that we deem of great value to the community. REMEMBER ...membership dues are due in MAY each year. NEW Memberships started mid-year are now prorated. All other memberships are LATE unless paid for in MAY. or bring them to the MAY Meeting. Thank you! Stacy discussed several ways to help us recall details of our life to help write our life story. Various ways of listing memories were discussed as thought starters - personal favorites, hobbies, memories, schools, clubs and organizations, dates, work, vacations, family recipes, friends, pets, etc. Write using notes, bullets or whatever style you are comfortable with. Writing a life history can be done in a short amount of time. The key is not to be concerned about perfection, neatness or being 100 percent accurate on the first attempt. The information can be re-written and details added if you want. ​You Might Not Have Considered Food As Being Connected To Family History, But It Is! Good Food Has A Way Of Bringing Families Together. Family stories are always fun to recount during family gatherings and this is one that we always love to share while in the kitchen preparing big family meals. One Easter while preparing the ham for our family dinner, my eldest daughter was helping in the kitchen and asked me why I was cutting both the ends off of the ham. I told her this is the way my mother always did it and so I was just doing it the way she taught me. She then wanted to know if there was a culinary reason why I was doing it? I was busy, so I told my daughter to go ask her Grandma, who was at the sink getting the potatoes ready. So she did. My mother told her, "Well sweetie, I don't rightly know why, Its just always been done that way I suppose. Perhaps it may make the meat taste better? You go ask Great Grandma she is setting the table. She will know, as she taught me." ​Great Grandma was helping the little ones set the silverware on the table when my daughter approached her and asked, "Why do we always cut the ends off of the ham?" "What's the matter with the ham?" she asked. ​Getting a little bit irritated with the long answer, my daughter replied, "No, nothing is wrong with the ham, we just want to know why you taught that the Easter ham should be cut on both ends?" "Well, that's an easy question." Great Grandma replied. 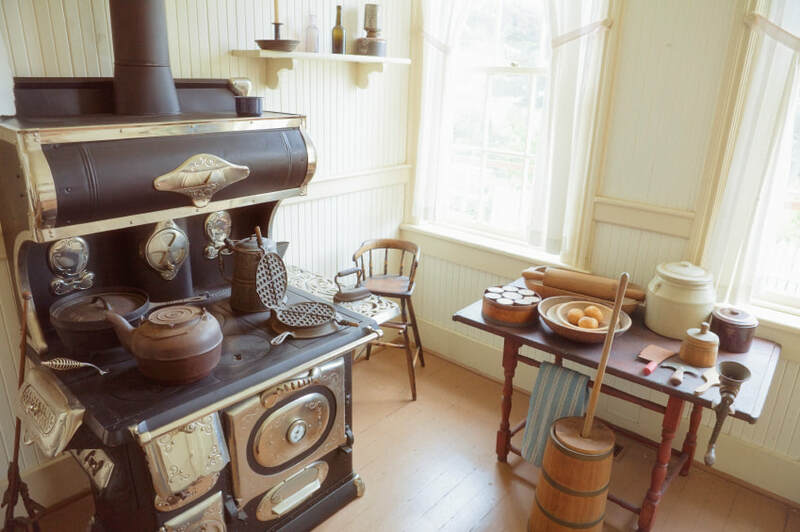 "you see I used a wood cookstove back in the day, and the oven door was only so wide, so in order for the ham to fit in the pan I had to cut both ends off." 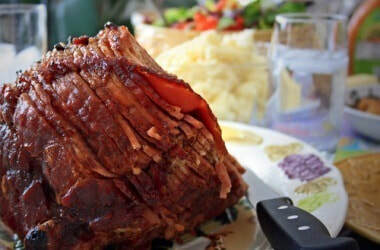 ​NO REASON to cut the ends of the ham off, it was simply TRADITION! Ah, the memories of family and the meals that went along with them. Hearty meals at Grandma’s house often featured these stick-to-the-ribs potatoes, which are baked in a creamy sauce and topped with cheese. WHENEVER YOU WANT TO DO A LITTLE MORE DIGGING AROUND YOUR TREE! Pioneer, Settler or First Family certificates are for any PROVEN ancestors who may have lived in Saginaw County from 1822-1884. Give a gift the family will forever remember. Your ancestor will be noted in our website and you will receive a handsome embossed Certificate of Record that will be vetted by our Society. Suitable for framing, or for documentation, of your ancestors presence in our county along with their pedigree. 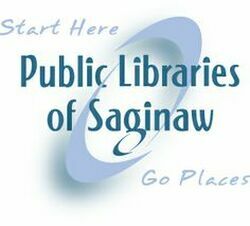 The Saginaw Genealogical Society began the issuance of Pioneer, Settler and First Family Certificates in 2017, and so far they are a big hit. To date, the Society has issued 51 certificates! The first ones were given to John Cammin for four of his ancestors that helped to settle Saginaw County, and recently Dr Matt Deibel and his wife Emily also were presented with certificates for two of their early ancestors. We welcome anyone who is interested to go to the History tab in the menu and then to PIONEERS or just click on the pioneers link above. NEWSBANK ​can be used for free with your public library card ID number. This website has newspapers to search for obituaries! ​JUMP IN FRANCE ON D-DAY! ...and how Tabasco sauce went with the men to war. My name is Debra Sheets. I'm a genealogist. I like to find stories and record them along with the information about the people in my family tree. It helps me to visualize them and see them in a more personal way so that these people will not be forgotten. And it serves for those that come after me, so they can know these people, as I've come to know them through my research. Anyhow, a few months ago I was going through our family tree and recording all of the military honors to all the men and women who’ve served our country. By researching and finding out what branch of the service and in what wars they served in, and attaching photos of those services to them. I'm also a mother of seven, and three of my four sons were able to serve in the military, two in the Army and one in the Marine Corps. Our family has a long history of military service, so I made note of their service in the family tree as well. As I came to my father, who also served in the Marine Corps. I remembered a story he told me as a little girl, when I was home recovering from appendix surgery. I couldn't sleep one night, and so he and I were up late and he fried some eggs and put them on toast and proceeded to put ALOT of Tabasco sauce on them. I'd never eaten Tabasco sauce before, so I was a little apprehensive. He assured me that it might have a strong taste but there was nothing in it that would kill me. And then he told me that when he was in the Marines, that Tabasco sauce was a staple in the mess hall, that it was his opinion that it was the only thing that made the military food edible. I still make those fried egg sandwiches today, but with a bit less Tabasco sauce. As I recorded this story I was curious about the name of the Tabasco sauce, and I remembered what the bottle looked like, so I googled it and I found it instantly. The brand name is McIlhenny's (Mcilhenny) Tabasco sauce. I recognized it because it has a triangle label on it, in white, green and red. When I googled the name I went onto their website, and lo and behold there was a history there about how the sauce was created after the Civil War and had been used by military ever since. On one site there's even a portion of a letter from General Schwarzkopf to the company noting the famous Tabasco sauce and how he enjoys it himself. That got me thinking, that if this sauce went into world War II with the men, maybe it could go with the guys on this 75th commemorative jump too. You see one of my sons who was in the Army, was in 82nd Airborne. He's a disabled veteran but he was determined to do this jump along with some of his buddies that he served with. So I wrote a letter to the McIlhenny Tabasco company and asked if they would be interested in donating enough Tabasco sauce for all the men who are jumping. I figured the worst they could say was no. her name is Patricia Adams. And she said the company would be very happy to donate not just the sauce but the belt holders for the sauce and the miniature cookbooks that was used during WWII by the men. I then found out that there was 300 men involved in this jump,(just from the United States). And I figured I better let her know just how much she's getting into here. Patricia said there was no problem, and that the company was more than willing to donate all the items. I couldn't believe it! My next problem was trying to contact somebody from DAKS over Normandy to let them know that I could get all this stuff and would they even WANT it? After doing a little research, I found that Mr. Moe Aguiari, is the project manager in the United States for the DAKS project, and he's in Georgia. So I made a few calls trying to track him down, and finally located a gentleman by the name of Jim Buckley who works with him in Peachtree City, Georgia. Where incidentally, one of the aircraft that will be flying with the men, is currently stored. He seemed pretty excited about the men having this commemorative item that would connect them to the men who jumped 75 years ago. So I called Patricia back and let her know that everything was good to go, but that I also needed one more favor, would her company ship the Tabasco sauce to Peachtree City, Georgia? Once again she said there was no problem. The other day I got a text message from Jim Buckley, telling me that a whole lot of stuff had been shipped to them in Georgia! I have a few photos of the items, but my son has assured me, that when he gets there, he will take a lot more pictures for me. I honor in my heart the men who lived and died back then, who gave so much to so many, in defense of freedom and liberty. I also honor the men who jump this June, 75 years later to commemorate the bravery and dedication that those soldiers gave to our country, and to those whom they liberated. And I also want to thank McIlhenny's Tabasco company in Louisiana, for their efforts in not forgetting our military, or our veterans, and in helping to commemorate those who lay in silent graves with white crosses, both in Europe and in the United States, who fought on that terrible day in history. Updated Jan. 15, 2013 9:33 p.m. Amateur genealogists, beware! Researching your ancestry doesn't always turn up heroes and royalty. It may turn up a felon, a bigamist or another unsavory character. Anyone planning on going to the National Genealogical Society Conference in St. Charles, Missouri in May 2019? If yes, start looking into hotels ASAP! I called a few places and many hotels, especially close by, were sold out at the special conference rate! I went to the 2018 conference this year and had a great time! Fifteen murder and sexual assault cases have been solved since April with a single genealogy website. This is how GEDmatch went from a casual side project to a revolutionary tool. 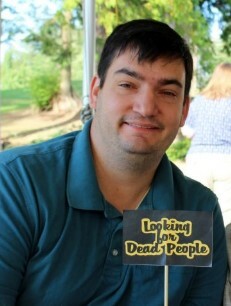 Curtis Rogers enjoys helping people solve family history puzzles. He inadvertently created a database that can now identify 60 percent of Americans of Northern European ancestry. Do you have an interesting genealogy story? Send us an email and we will be happy to post it! In this project,index only documents pertaining to a death. 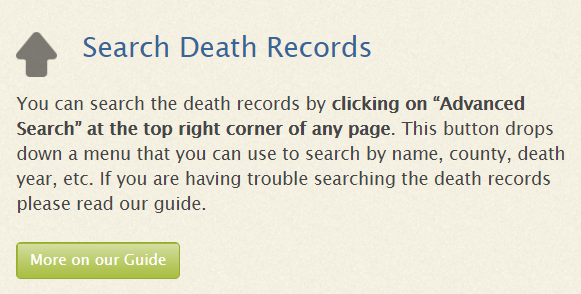 Any image that does not show at least one death record should be marked as a No Extractable Data image. The obituaries and death notices are typically in chronological order. Each batch includes up to five images. Each image usually shows just one document, but some obituaries may extend across multiple images, and some images may contain more than one obituary. I was married to a widow who was pretty as can be. This made my dad my son-in-law and really changed my very life, My daughter was my mother, cause she was my father's wife. To complicate the matter, even though it brought me joy, I soon became the father of a bouncing baby boy. 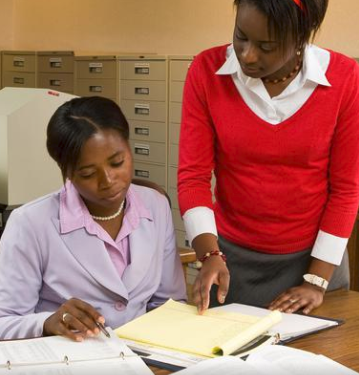 Need to locate a Family History Center near you? A fascinating story by Shelley Murphy, published in the Boston Globe, seems to b almost too strange to be true. Sadly, it is not only true, but pieces of the whole story are still missing. 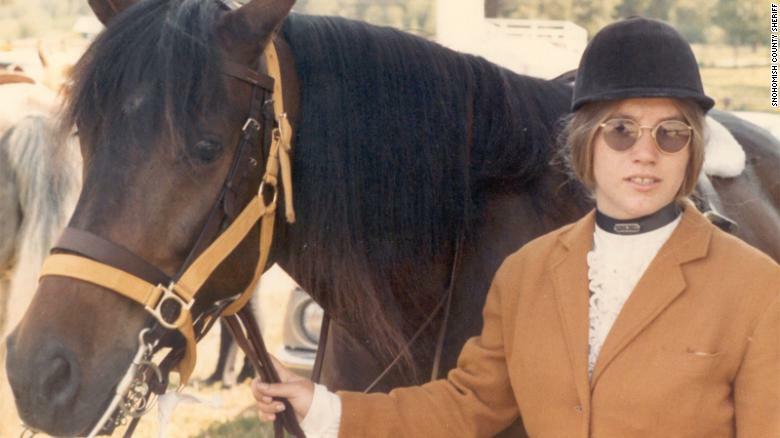 Dozens of law enforcement officers around the country, social workers, investigators from the National Center for Missing and Exploited Children, genealogists, and others have worked together to find as much information about a serial killer as possible. There may be even more information waiting to be found. Law enforcement officials feel there may be even more victims than are known so far. A man of many aliases seems to have murdered a number of wives, girlfriends, and children. At various times, he lived in New Hampshire, Texas, California, Idaho, and probably in other states as well. Genealogists became involved when there was a need to identify the ancestry of one little girl who was abandoned, but not murdered, by the serial killer. Working with DNA and with public records, the volunteers spent thousands of hours building her family tree of some 19,000 people, just on her maternal side. The list of people who descended from just one ancestor, the one with 18 children, filled a line of letter-size sheets that, taped together, extended 11 feet. The serial killer eventually died in prison (for other crimes) and yet little is known about him. He was smart, fluent in French, and, according to one witness interviewed by police, also spoke Spanish, Chinese, and Arabic. Investigators suspect he may have served in the military, but they have been unable to identify him. They don’t know where he was born and raised, or where he was before he surfaced in New Hampshire in the late 1970s, when he appeared to be in his late 20s or early 30s. Perhaps you can use your genealogy skills to help the investigation. You can read this fascinating story at http://bit.ly/2pyKPni. My thanks to newsletter reader Bill Kelleher for telling me about this story. ​Are you a Michigan library card holder? Did you know that as of May 24, 2016, you can now access hundreds of Michigan’s state parks, historic sites, recreation areas and campgrounds for either free or discounted admission? ​You can even use it to visit any of the Seven National Park venues in the state! ​Your Michigan Library Card Is Good At More Than Just Libraries! DNA, genealogy investigation techniques help crack 46-year-old cold case! There are lots of cool and interesting things to read there! You can connect to Fb right from our website. You will need to sign into your own Fb account to enter the site.